Noir. 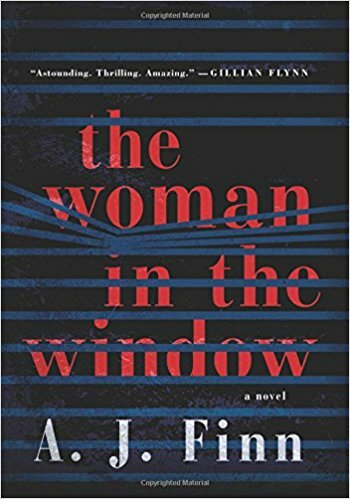 Fans of suspense thrillers will find much to enjoy in a debut novel titled, The Woman in the Window, by A.J. Finn, a pseudonym of Daniel Mallory, who had worked as an editor at Morrow. Finn delivers great complex characters, the gradual unveiling of an entertaining plot, and a narrative that offers homage to great noir films. I found my reading pace remained steady, like the regular frames of a film as sentences went by a constant clip. If you've been entertained by a Hitchcock film and enjoy noir, chances are you'll like this novel and the fine writing it offers. Rating: Five-star (I love it) Click here to purchase The Woman in the Window from amazon.com. Connections. 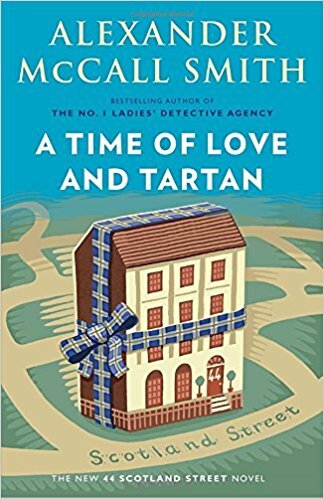 The twelfth collection of short pieces from The Scotsman featuring the neighborhood of 44 Scotland Street in Edinburgh is titled, A Time of Love and Tartan. Instead of my usual method with this series of reading just a few short chapters over the course of several weeks, I read through it all in just two sittings. As with all of Smith's writing, the characters are memorable and interesting. There's kindness and love underlying most episodes, and the right people get their comeuppance, eventually. The plot moves along at the usual deliberative pace in this collection, and fans of the series will love the prospect that Irene may actually be leaving Stuart, Bertie and Ulysses behind to leave for Aberdeen. Rating: Four-star (I like it) Click here to purchase A Time of Love and Tartan from amazon.com. Delay. Chances are, if your education is anything like mine, all you really think of when the name Neville Chamberlain comes to mind is "appeasement," something our leaders should avoid. 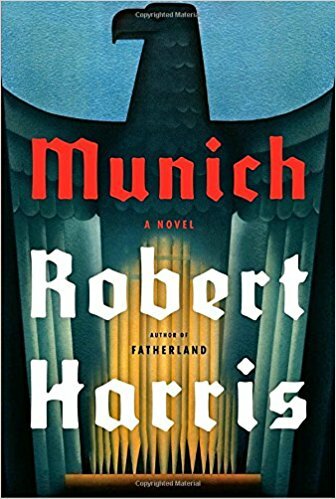 In his novel titled, Munich, Robert Harris covers just a few days in 1938, the days before and after Chamberlain's meeting with Hitler in Munich over Germany's takeover of the Sudetenland, a German speaking area of what was Czechoslovakia. As in earlier novels, Harris describes settings with great detail, offers an interesting and engaging plot, and leads readers to a view of Chamberlain that is kinder now than in recent decades. In the novel, the delay that Chamberlain achieved in Munich was in response to the lack of preparedness in England to engage in war with Germany. As in our lives, when our choices are less than satisfying, we will select the least bad alternative, and Harris presents Chamberlain as doing just that in 1938. He delayed confrontation with Hitler until the country was ready, and that prudent act was in no way appeasement. Rating: Four-star (I like it) Click here to purchase Munich from amazon.com. Greenlight. 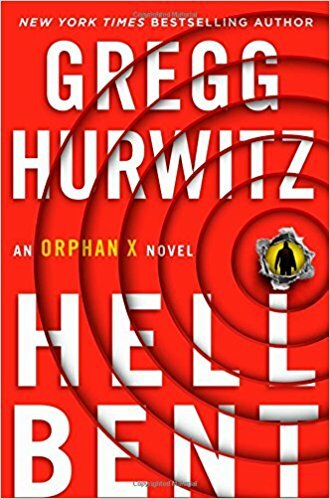 The third Orphan X novel by Gregg Hurwitz is titled, Hellbent. Any reader who has not read the earlier novels in this series will lose a lot by starting with this installment. For fans of the series, this third novel moves the action forward violently and expertly, while filling in more of protagonist Evan Smoak's backstory. A new and interesting character joins the story. There's a big revelation of who has given the greenlight to eliminate Orphan X, and a setup toward the next installment. Rating: Four-star (I like it) Click here to purchase Hellbent from amazon.com. Voice. 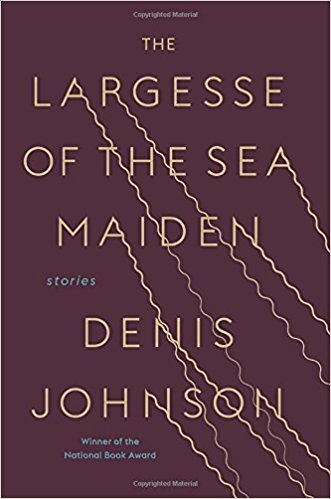 I was reminded when reading every page of the new short story collection by the late Denis Johnson titled, The Largesse of the Sea Maiden, that he will no longer be sharing his voice with fans. Each of the five short stories in this collection offers deep insight into human nature and provides a lyrical telling of stories about the vibrancy of life. Like most of us, these characters are limited by constraints of one kind or another, they have a good sense of humor, and their hopes resonate with our own. Like many great writers, Johnson had the ability to introduce us to people who seem to be not at all like us, and after a while we realize how much we have in common. Readers who enjoy expertly written short stories are those most likely to enjoy this collection. Rating: Five-star (I love it) Click here to purchase The Largesse of the Sea Maiden from amazon.com. Human. 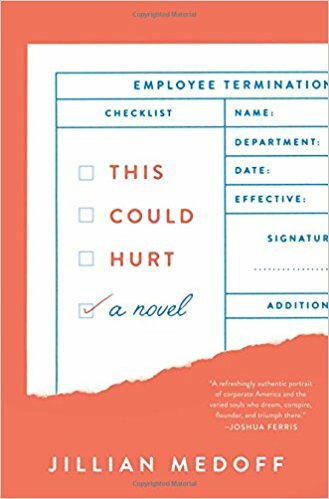 In her novel titled, This Could Hurt, Jillian Medoff puts the "human" in Human Resources. Workplace novels can often lean toward shallow and boring stereotypes. While Medoff veers in that direction sometimes in this novel, for the most part she creates interesting and complex characters who behave in ways, both good and bad, that will resonate for most readers. Set mostly during the financial crisis in 2008 and 2009, the novel offers a plot that fits that time very well. Each character has to respond to change, like it or not. Rating: Three-star (It's ok) Click here to purchase This Could Hurt from amazon.com. Words. 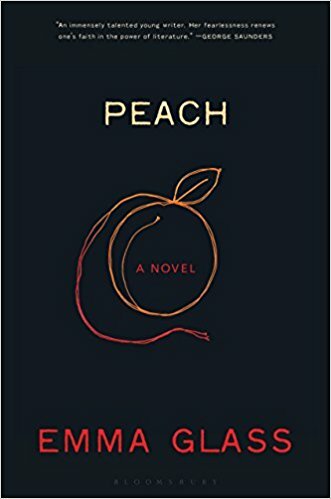 I read Emma Glass' novel titled, Peach, in a single sitting. My reaction to this odd novel when I finished was something like, "Huh. What was that all about?" I almost considered another reading but decided the novel would be no less odd on a second reading. The prose is lyrical, and the words carefully chosen for rhythm. Sample a page or two to see if you have an appetite for what Emma Glass offers in her odd debut novel. Rating: Three-star (It's ok) Click here to purchase Peach from amazon.com. Truth. 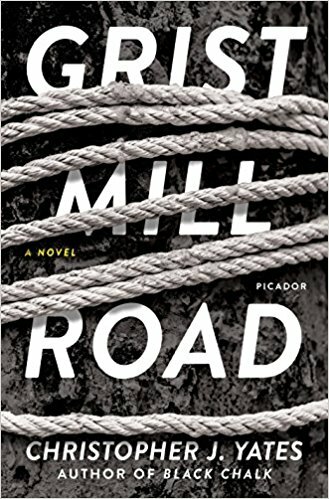 Readers who enjoy intricate plots will love the novel by Christopher Yates titled, Grist Mill Road. Yates offers the perspective of a trio of characters, Matthew, Patrick and Hannah, about events in 1982 and in 2008. As Matthew says on p.184, "Truth is seldom a lens, truth is a kaleidoscope, and I have my truth also." The construct Yates creates draws readers into one perspective of the truth, and then shifts views on the puzzle in this story to lead us to question what is true. The ties that bind these characters include the ropes that appear on the book jacket. Does that make you curious? Rating: Five-star (I love it) Click here to purchase Grist Mill Road from amazon.com. Flyover. From 36,000 feet above land, Iowa looks like most of what many readers think of as flyover country: the calm and indistinguishable flat middle of the United States. 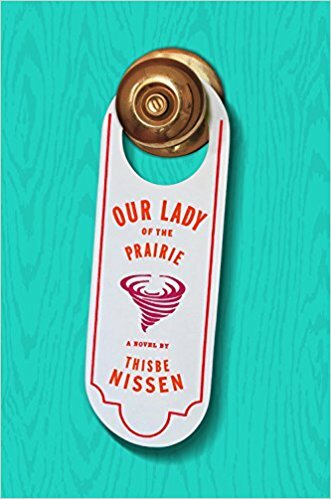 The tornado on the cover of Thisbe Nissen's novel titled, Our Lady of the Prairie, promises more of the topsy-turvy reality that a flyover obscures. Just about all aspects of protagonist Phillipa Maakestad's life are in turmoil, and when an actual tornado arrives for her daughter's wedding, it couldn't be more fitting. Nissen's prose can meander at times to the impatience of plot focused readers, but for those who enjoy the messy way life plays out for flawed characters, this novel will be a treat. Rating: Four-star (I like it) Click here to purchase Our Lady of the Prairie from amazon.com. Curtains. A short novel by Hanif Kureishi titled, The Nothing, is a portrait of an artist as a dying man. The novel is set in London and features protagonist Waldo, a filmmaker, as he produces his grand finale: his death. 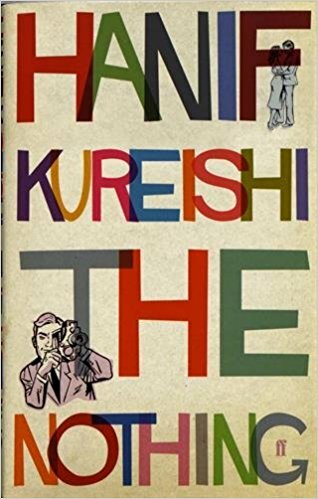 Kureishi understands revenge and writes with great skill about the sexual tension between Waldo, his wife Zee, and an acquaintance named Eddie. Fans of black humor and finely written literary fiction are those readers most likely to enjoy this novel. Rating: Four-star (I like it) Click here to purchase The Nothing from amazon.com. Slapstick. When will I ever learn? Just as my book queue swells to unreadable proportions, I open up a new novel from a series that was unfamiliar to me. 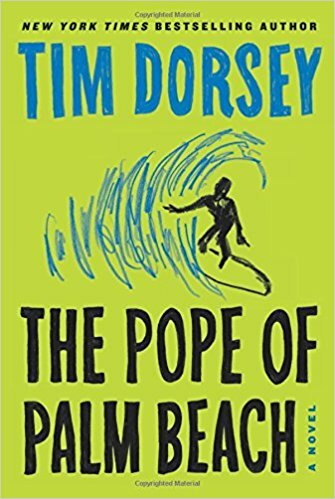 The 21st Serge A. Storms novel by Tim Dorsey is titled, The Pope of Palm Beach. I read it in a few delightful hours, and now I'm likely to add another series to my regular reading list. Dorsey has created an endearing and manic character in Serge, and his constant motion in this novel provided me with comedic entertainment, albeit of the slapstick kind. Two plot lines converge at the point of Serge in this book, and links between the past and present are offered to fill out the story. Any reader looking for a laugh or two will find plenty here, and those who find Florida a source of amusement will delight in all the local color that Dorsey provides. Rating: Four-star (I like it) Click here to purchase The Pope of Palm Beach from amazon.com. Immorality. 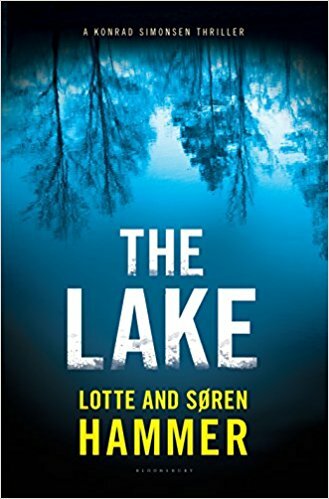 Lotte and Soren Hammer have reprised Copenhagen homicide detective Konrad Simonsen for a dark novel titled, The Lake. The subject of the novel involves human trafficking, and the authors explore a culture and society in which immorality can thrive when certain behaviors are not illegal. Readers who enjoy noir Scandinavian crime fiction are those most likely to enjoy reading this novel and this series. Rating: Four-star (I like it) Click here to purchase The Lake from amazon.com. Brothers. 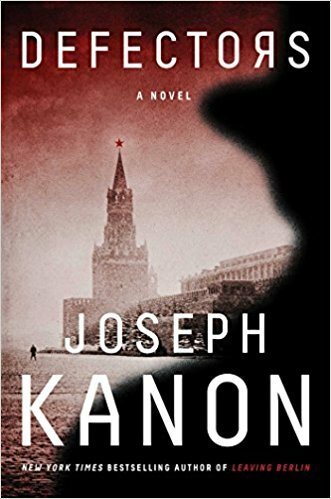 Fans of spy novels are those readers most likely to enjoy the finely written book by Joseph Kanon titled, Defectors. Set mostly in 1961 in Moscow, the novel tells of two brothers: Frank Weeks, who defected from the United States to Russia, and his brother, Simon, a New York book publisher. The Kremlin has encouraged Frank to write his memoirs and has allowed Simon to come to Moscow and edit the manuscript, which he does with the support of the United States government. Thanks to Kanon's fine writing, readers can enjoy the ways in which treachery endures reunions and schemes, motives and allegiance are as fuzzy as determining what and who is true and loyal. Rating: Four-star (I like it) Click here to purchase Defectors from amazon.com. Grief. 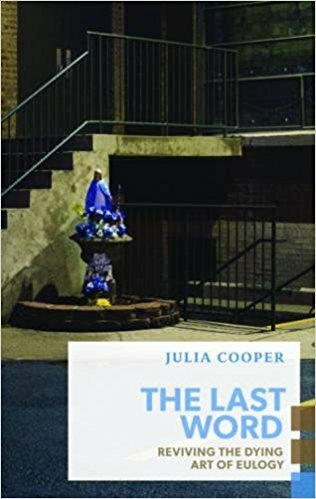 Julia Cooper has written an odd little book titled, The Last Word: Reviving the Dying Art of Eulogy. She reflects on her own loss and grief while observing the rituals of death, especially the eulogy. Often packed with clichés, the eulogy comes so quickly after a loss that grief has not been present long enough to provide the perspective necessary to describe a life lost and to come to some understanding of our sorrow. Her writing in this book is lively and playful and will be of interest to anyone who expects to deliver a eulogy or to listen to one. Rating: Three-star (It's ok) Click here to purchase The Last Word from amazon.com. Value. Many people spend time over the holidays reflecting on what is of lasting value and many use New Year's resolutions as a way to align one's behavior with one's values. 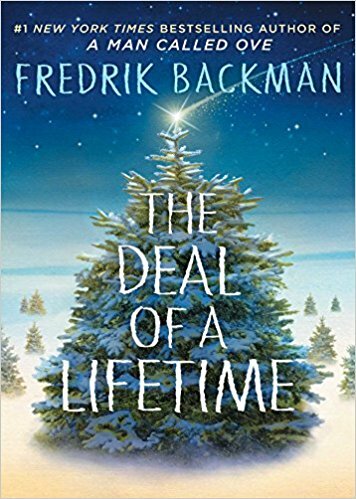 One holiday afternoon I read a novella about values and what a life is worth by Fredrik Backman titled, The Deal of a Lifetime. Most readers will spend more time reflecting on the story than is spent reading it. Any reader reflecting on the meaning of life should consider using this novella as one way to delve deeper into those reflections. Rating: Four-star (I like it) Click here to purchase The Deal of a Lifetime from amazon.com. Nigeria. 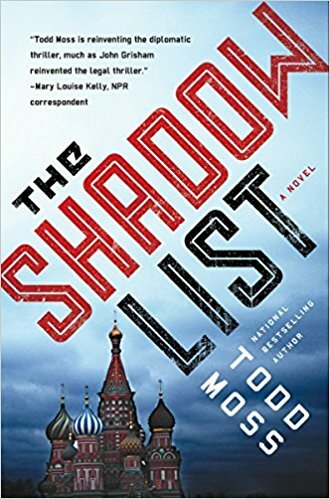 The fourth novel by Todd Moss to feature Judd Ryker and his wife, Jessica, is titled, The Shadow List. This time out the State Department sends Judd to Nigeria to find a missing investment banker while the CIA has Jessica in Russia posing as an assassin for a crime boss. As Moss is wont to do, while he sends the couple out on distinct missions, connections draw them into joint peril in the same place. Fans of thriller novels are those most likely to enjoy this novel and this series. Rating: Four-star (I like it) Click here to purchase The Shadow List from amazon.com. Typewriters. 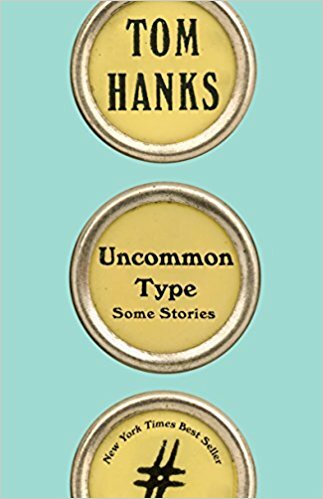 I enjoyed reading most of the seventeen short stories in a collection titled, Uncommon Type, by Tom Hanks. Many of the stories included detailed descriptions of manual typewriters, an object the author enjoys and appreciates. The writing is as down-to-earth as Hanks appears to be, and the stories are both entertaining and interesting. I sensed the joy and pleasure that must have surrounded Hanks as he wrote these stories to share that pleasure with others. Rating: Four-star (I like it) Click here to purchase Uncommon Type from amazon.com. Tradition. I consumed many cups of tea while reading Lisa See's novel titled, The Tea Girl of Hummingbird Lane. 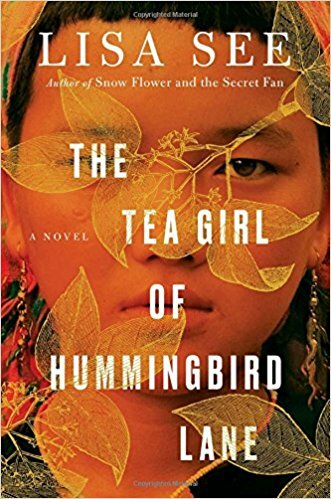 None of those cups was brewed from the Pu Erh cake teas described in this novel, since I've never developed a taste for that tea. Give me an oolong any day, along with a second flush Darjeeling for my bride. See describes the changing lives of people across generations and continents and the ways in which tradition provides continuity for finding one's way in the world. I was drawn into the story and the lives of these interesting characters, and before long I cared very much about what happens to them. This is a sweeping story with a big heart that will appeal to those readers who appreciate a well-told story with emotional tugs. Rating: Four-star (I like it) Click here to purchase The Tea Girl of Hummingbird Lane from amazon.com. Titan. 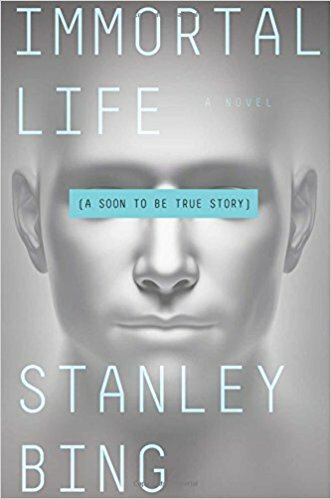 Stanley Bing is the penname of Gil Schwartz, Senior EVP at CBS, and his latest novel is titled, Immortal Life. Bing takes the news stories of corporate titans funding projects to extend human lifespan, especially their own, combines that with major corporate consolidations and adds progress made in artificial intelligence. The result is a satire about corporate arrogance and greed, and an inquiry into what it means to be a person. Bing is being playful in this novel, as he does regularly in his writing. The characters are larger and smaller than life. He pokes around the edges of what might be a future and leads us to laugh at the permanence of human folly. Rating: Four-star (I like it) Click here to purchase Immortal Life from amazon.com. Honor. 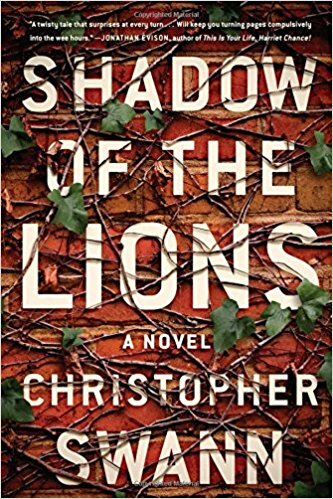 I was greatly entertained by Christopher Swann's debut novel titled, Shadow of the Lions. Set at an exclusive Virginia prep school, the novel spans two different time periods: when protagonist Matthias Glass was a student at Blackburne, and when he returned there as a teacher a decade later. Matthias' best friend, Fritz, disappeared from Blackburne following an argument they had during their senior year precipitated by one's adherence to the school's honor code. Swann teaches at a Georgia prep school, and he captures the setting perfectly. Characters are well-developed, and the plot maintains a steady pace as a mystery unfolds. The prose flows as readers reflect on friendship and the impact of the past on the present. Rating: Four-star (I like it) Click here to purchase Shadow of the Lions from amazon.com. Choices. Abortion is one of the most contentious issues in America and those with divergent views are solidly convinced that their position is clearly the right one and the other side is absolutely wrong. 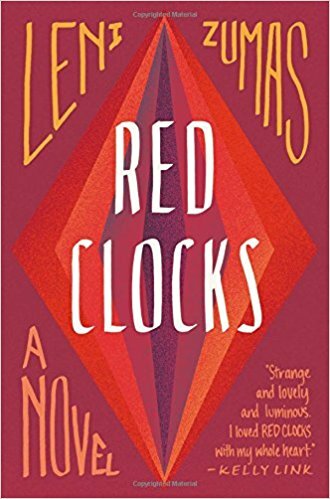 In her novel titled, Red Clocks, Leni Zumas offers readers a vision of a future in which a personhood amendment has outlawed abortion in all fifty states. Another law, "every child needs two," is about to prevent adoptions by single people. Zumas structures the novel by alternating the perspectives of five different women and their choices. The writing is superb, the characters compelling, and the structure intriguing. Book club members will spend more time than usual talking about this book. Rating: Five-star (I love it) Click here to purchase Red Clocks from amazon.com. Lurid. 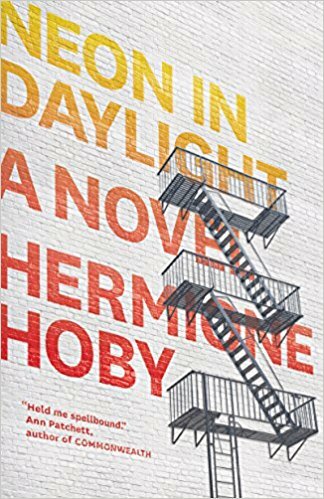 Hermione Hoby's debut novel titled, Neon in Daylight, paints New York City in 2012 with vivid scenes and characters. Protagonist Kate leaves England for New York City and stumbles into relationships with a father, Bill, and his daughter, Inez. Hoby's prose is finely written and her descriptive language enlivens every page. Along the way, she explores desire, solitude, and the complications of finding one's way in the world. Few readers will like the characters in this novel, and even fewer will emulate their behavior. Any reader who enjoys finely written literary will admire and appreciate Hoby's fine prose and relish this debut novel. Rating: Four-star (I like it) Click here to purchase Neon in Daylight from amazon.com. Aliens. All over the world there is conflict between people based on "us" versus "them." A late friend often said the most important question we must answer is: "When we say 'we,' who do we mean?" 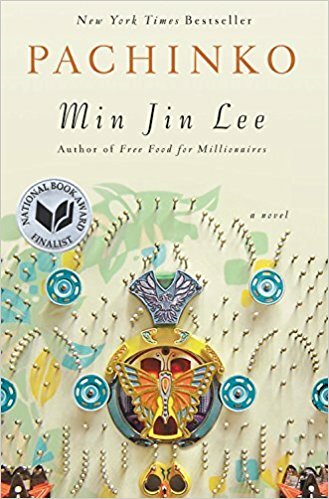 Min Jin Lee writes in her novel titled, Pachinko, about multiple generations of Koreans living as aliens in Japan during the twentieth century. The universal themes of love and family and hard work dominate the novel, and so many elements are perfect: character development, plot and descriptive language. I was absorbed in the story and entertained from beginning to end. Rating: Five-star (I love it) Click here to purchase Pachinko from amazon.com. Dislocation. 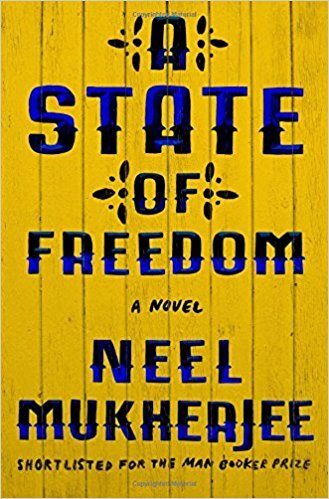 The struggles and challenges of the characters in the novel by Neel Mukherjee titled, A State of Freedom, are different, but each person faces being removed from one way of living and needing to adjust to a new situation. Mukherjee expresses their hunger and striving with great skill. The extremes of inequality can be leveled when facing dislocation or upheaval of any sort. What are we looking for? What will it take for us to be free? Rating: Four-star (I like it) Click here to purchase A State of Freedom from amazon.com. Longing. 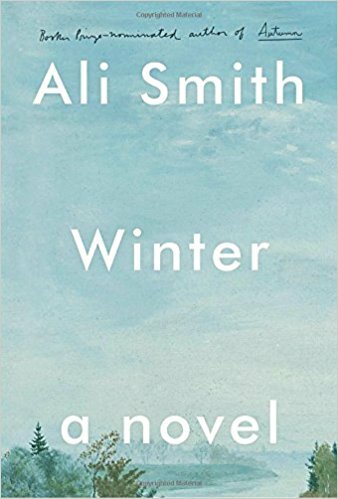 The second novel in the seasons series by Ali Smith is titled, Winter. Patient readers will meander along with Smith in the bleakness of the season with a cast of characters who are somewhat unmoored and be rewarded with some beautifully crafted prose. My patience was waning until page 215 where Smith describes how Arthur has had enough of Christmas and now longs for winter itself. Here's the single sentence that gave me the prose payoff for my patience: "He wants real winter where words are sheathed in snow, trees emphatic with its white, their bareness shining and enhanced because of it, the ground underfoot snow-covered as if with frozen feathers or shredded cloud but streaked with gold through the trees from low winter sun, and at the end of the barely discernable track, along the dip in the snow that indicates a muffled path between the trees, the view and the woods opening to a light that's itself untrodden, never before blemished, wide like an expanse of snow-sea, above it more snow promised, waiting its time in the blank of the sky." I read the novel in winter and will read this sentence multiple times again after the next snowfall. Rating: Five-star (I love it) Click here to purchase Winter from amazon.com. Connections. I enjoy reading fiction that draws me into an unfamiliar place and into the lives of the people who live there. 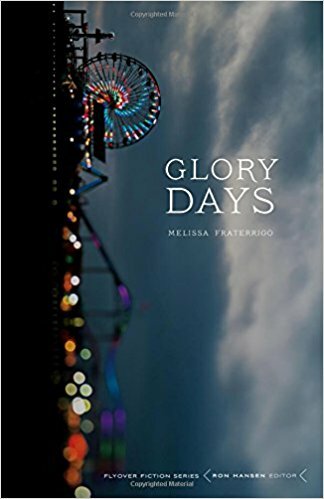 The fourteen connected stories in a collection by Melissa Fraterrigo titled, Glory Days, describe the people who live in Ingleside, Nebraska, a ranching and farming town. Fraterrigo develops these complex characters with deep insight into human behavior and in the context that progress and setbacks live side by side. Connections among people can be fragile and hard to maintain, especially when times get tough. Land in Ingleside can bring prosperity and disaster. Cattle can increase wealth or generate great losses. Readers who like finely written fiction with flawed characters should enjoy this book. Rating: Four-star (I like it) Click here to purchase Glory Days from amazon.com. Privilege. For fans of John Hodgman, the stories from his own life are as entertaining as the made-up ones we've come to know and love. 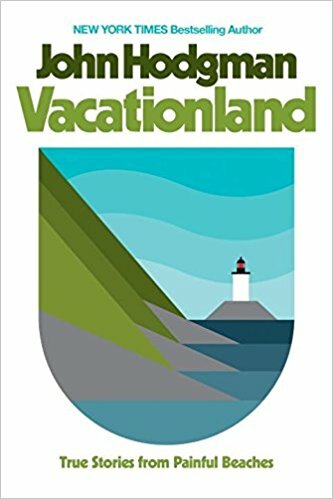 In a book titled, Vacationland: True Stories from Painful Beaches, Hodgman turns the comic lens on himself and his life of privilege. Any reader who has spent time in Maine or who owns a vacation home anywhere will find this book especially poignant. Rating: Four-star (I like it) Click here to purchase Vacationland from amazon.com. Technique. Dilbert creator Scott Adams predicted early in the 2016 presidential campaign that Donald Trump would win. 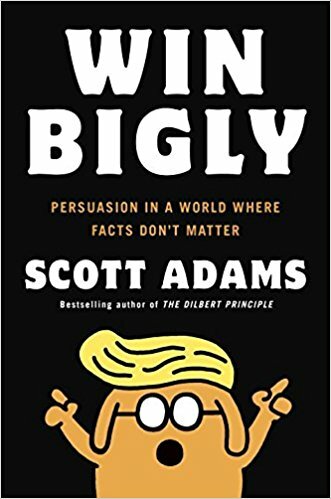 In his book titled, Win Bigly: Persuasion in a World Where Facts Don't Matter, Adams explains why. The basic premise of the book is that Donald Trump has mastered the techniques that are proven successful at persuasion. Adams explores many different techniques that Trump uses successfully and explains why those techniques work. Rating: Four-star (I like it) Click here to purchase Win Bigly from amazon.com. Celebration. 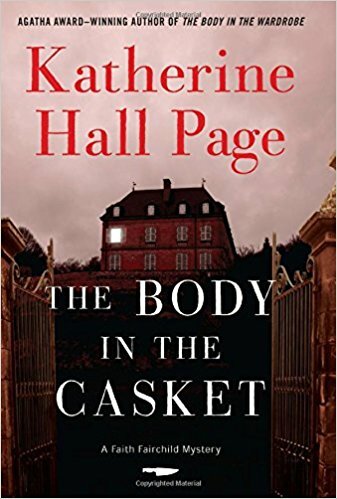 I am a latecomer to the mystery novels of Katherine Hall Page featuring protagonist Faith Fairchild. The twenty-fourth installment and my introduction to the series is titled, The Body in the Casket. Faith has been hired by Max Dane to cater a weekend celebration of his seventieth birthday. Max is a Broadway musical producer and director, and the guests for this party are all associated with his last and unsuccessful production. Mystery fans will find a pretty straightforward story and some mild entertainment as well as a villain who was easy to spot. Rating: Three-star (It's ok) Click here to purchase The Body in the Casket from amazon.com. Openness. Many of us have strong confirmation bias, whether right or left, conservative or liberal, reinforced by our friends and neighbors thanks to how we've sorted ourselves. Former NPR CEO Ken Stern spent a year outside his liberal and Democratic comfort zone and spent time listening to those outside his bubble. 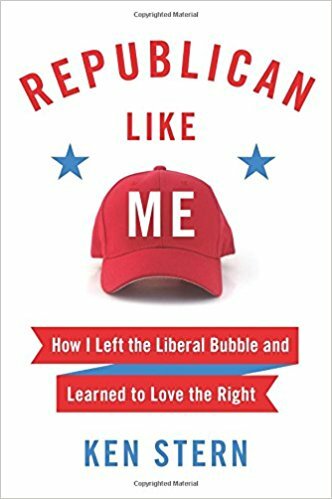 He describes the experience in his book titled, Republican Like Me: How I Left the Liberal Bubble and Learned to Love the Right. As a result of his openness to different points of view, he came away from this experience with some of his positions changed, and with a greater appreciation of views different from his own. We can all benefit from this example as we can try to overcome what seem to be intractable divisions. Rating: Four-star (I like it) Click here to purchase Republican Like Me from amazon.com.